Whether you are a backpacker on a budget or on a 2 week luxury vacation, we offer you a quiet, exciting, relaxing or energetic holiday. Staying at Cliff Cottage will be an experience of a life time. We have 4 types of accommodation: You can choose to stay in our amazing cliff-top Mongolian style bell tents (October 15th until May 15th). For the less adventurous we have beautiful large rooms with en-suite bathroom and air-conditioning (available all year around) overlooking Bang Bao bay and the pier where our boats are moored. 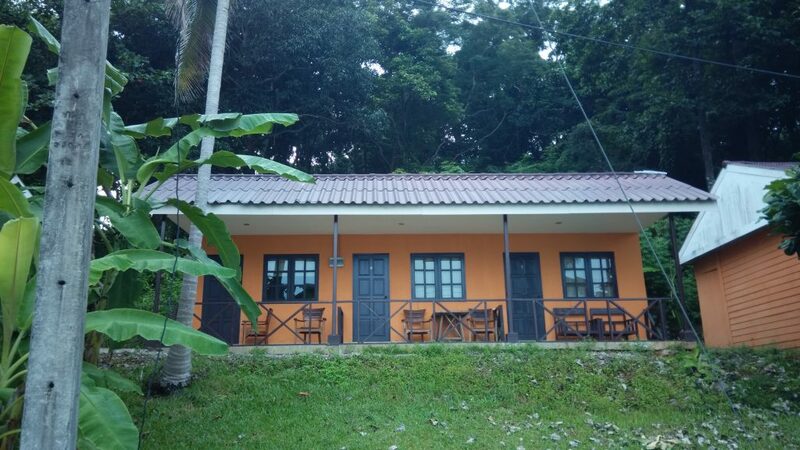 We also have a few cozy cliff top bungalows and one family house that can accomodate up to 6 people. We offer free basic accommodations if you book a dive course with Scubadawgs. The basic/budget accommodation we have are Mongolian style bell tents which all have excellent sea views. 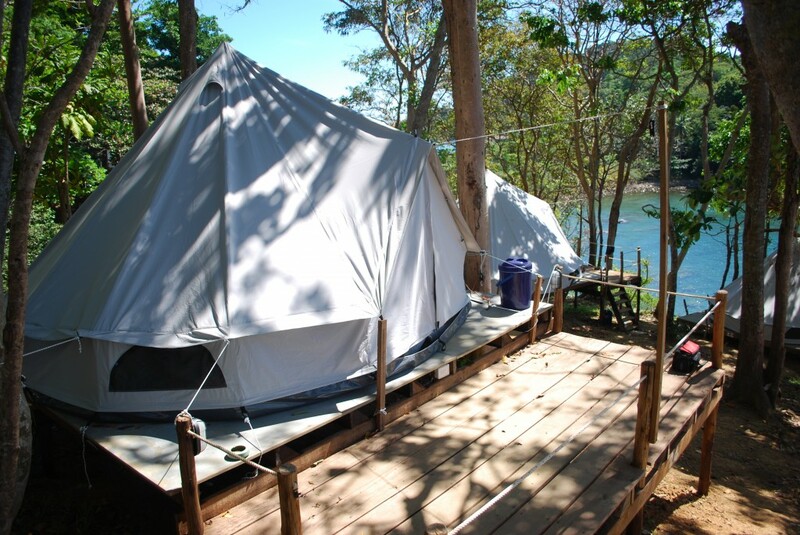 The modern term for this type of camping is called “Glamping” because it is a mixture of Glamorous and Camping. 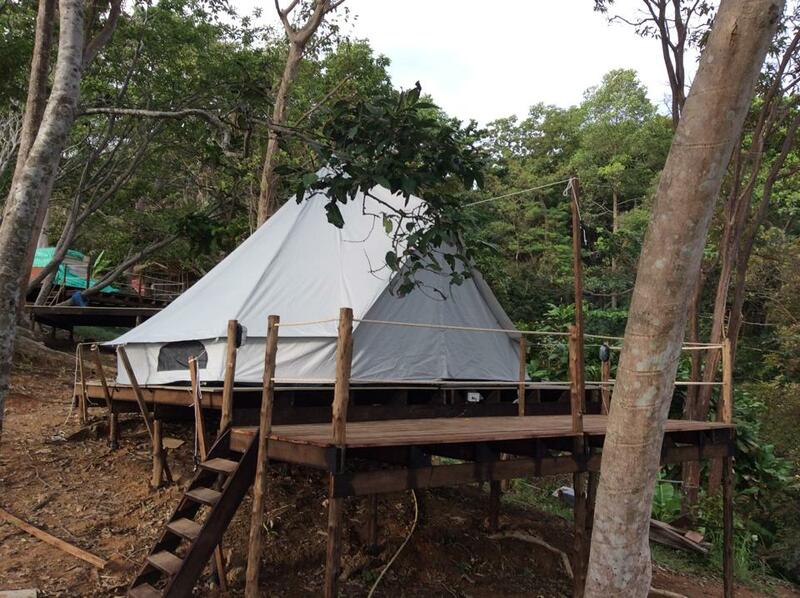 The tents are pitched on a large wooden decks on top of the cliff. 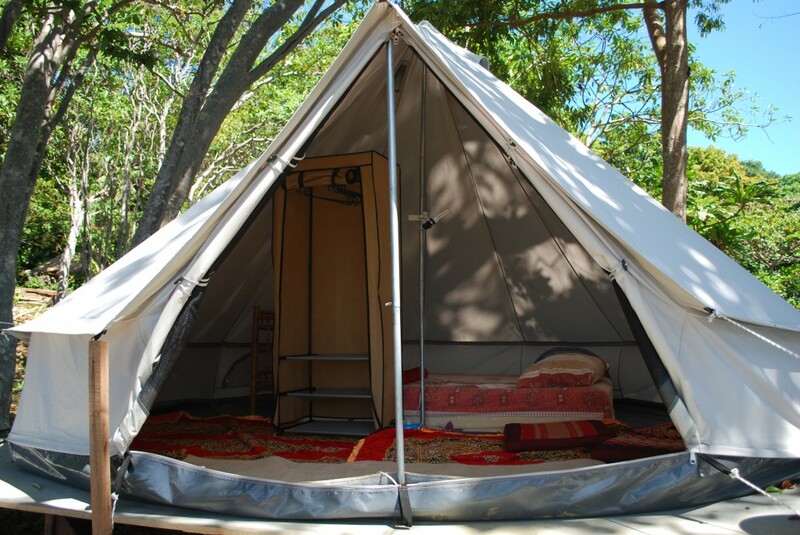 All tents have comfy mattresses, electricity, fan and light. There are hammocks in between the tents. The bathrooms (warm shower & toilet) are located centrally 2 minutes from the tent area. The bathrooms are newly refurbished and cleaned several times a day. Our modern air-conditioned rooms come with an en-suite bathroom and a veranda overlooking Bang Bao fishing village and the pier where our diving boats are moored. All rooms are well appointed and we offer tea/coffee facilities and safes for your valuables. We also have a few cozy cliff top bungalows with excellent views over the Gulf of Thailand.